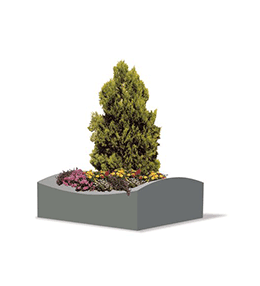 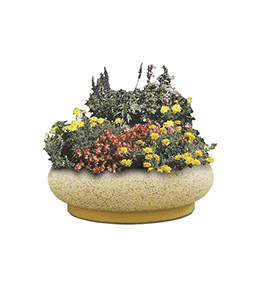 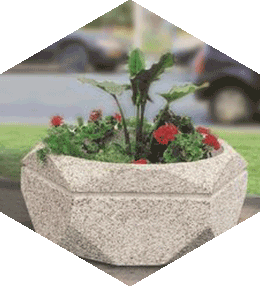 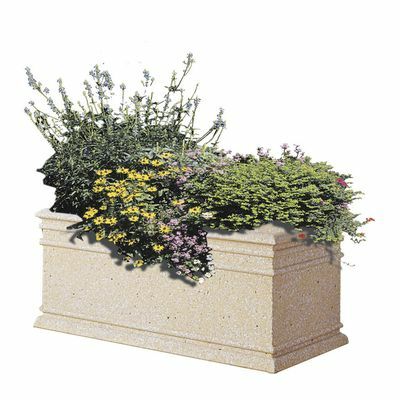 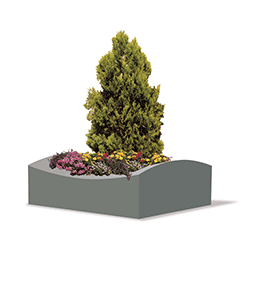 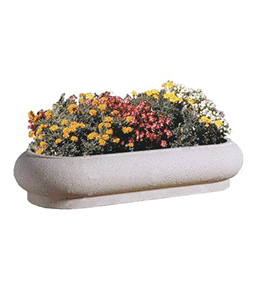 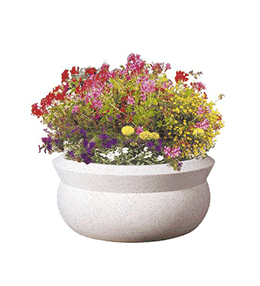 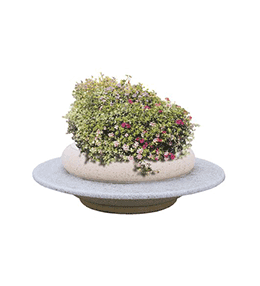 The concrete planter is the must-have item of all the equipment offering citizens good quality of life. 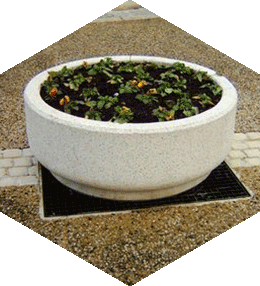 Whether you are looking for a round, rectangular or square planter, we offer a wide choice of shapes and styles that will become as one with your urban space. 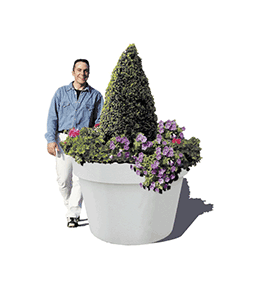 Some planters also have a seat for the greatest possible convenience of users. 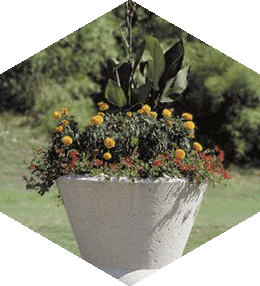 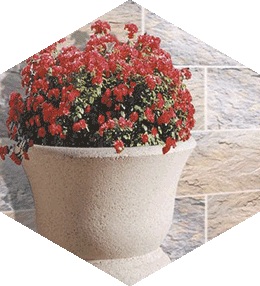 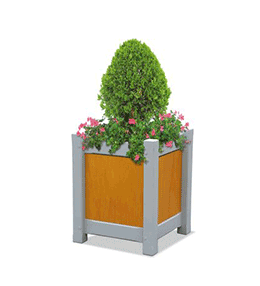 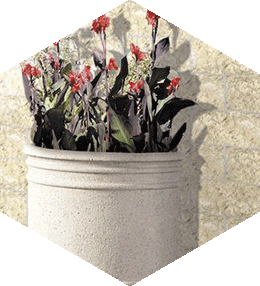 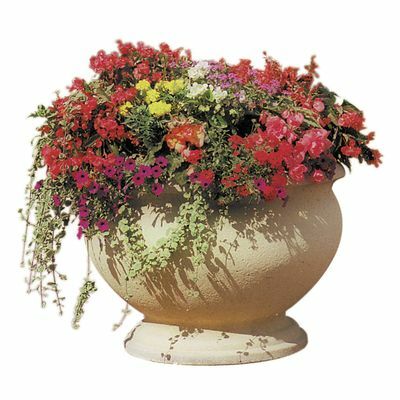 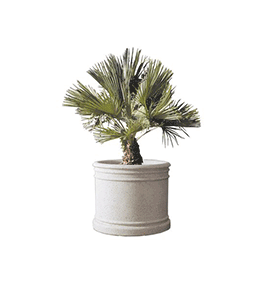 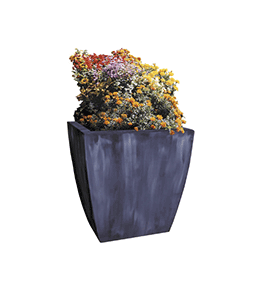 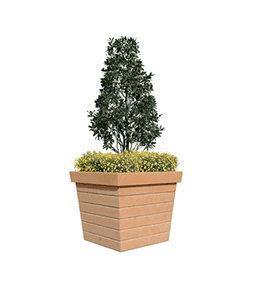 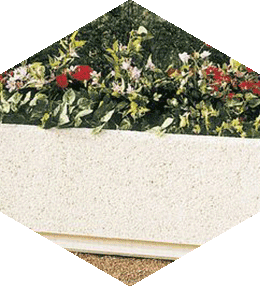 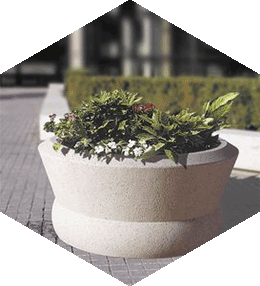 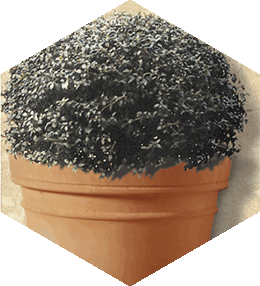 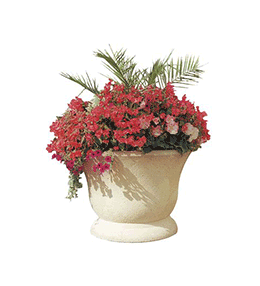 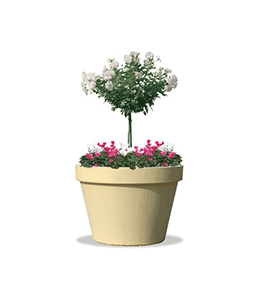 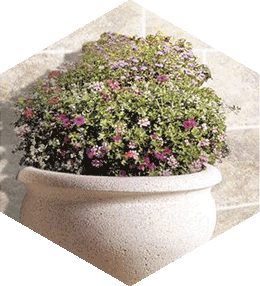 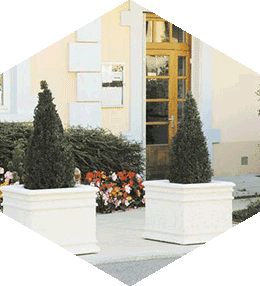 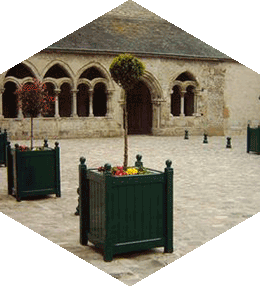 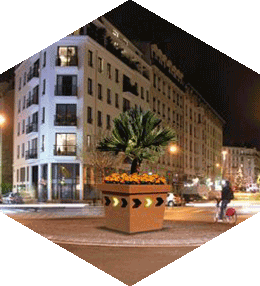 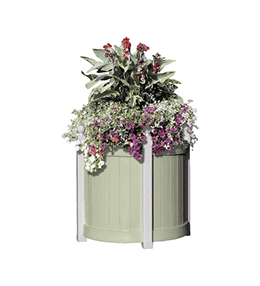 Manufactured from concrete, our planters are long-lasting and resistant to vandalism. 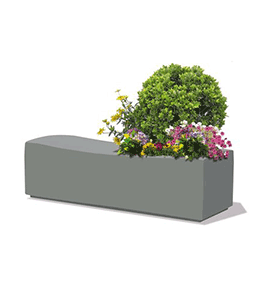 Plants and flowers ensure the well-being of users right at the heart of the town; for this reason, Francioli has developed a range of concrete planters with the potential to meet all desires and requirements. 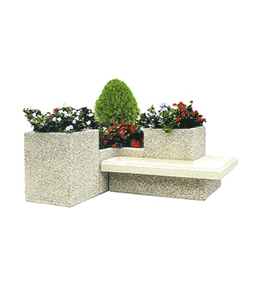 Washed gravel Polished seat Bench on right or bench on left. 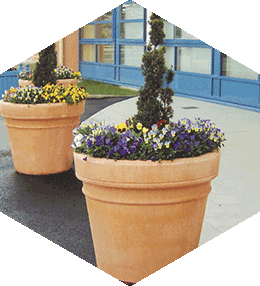 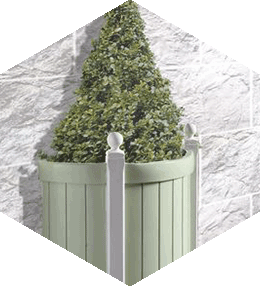 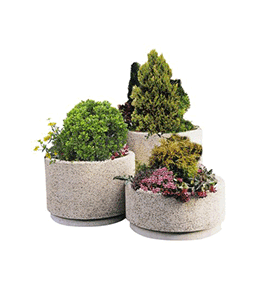 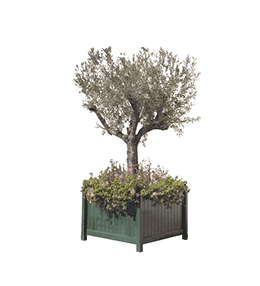 When you visit our website you will notice that we have a vast choice of planters which are ideal for urban spaces. 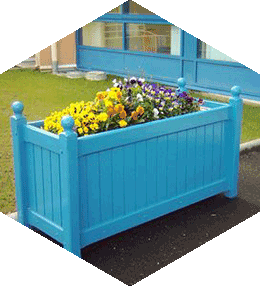 Winter and summer alike, it is essential to provide pleasant and colourful spaces in order to improve quality-of-life for residents, even during the colder seasons.